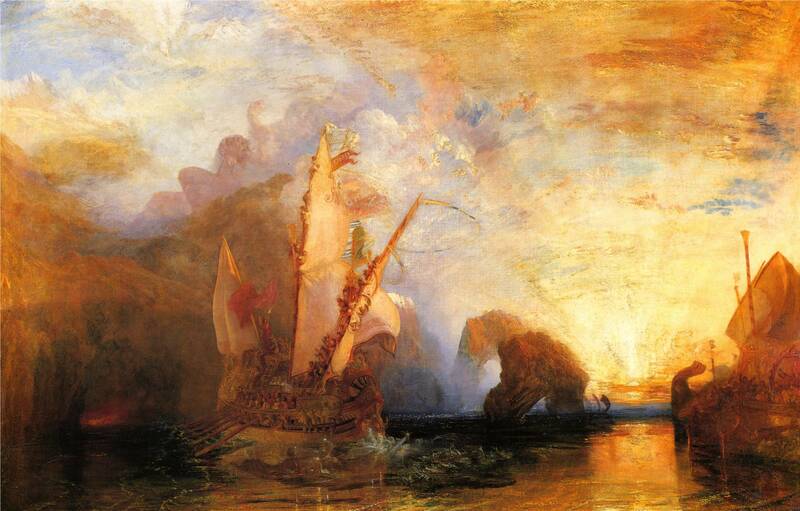 A painting, this painting (Ulysses deriding Polyphemus by J.M.W Turner) made me cry today. It’s the first time that’s ever happened to me, but I couldn’t help it. I’ve heard my art professors talk about shedding a tear upon looking at a certain piece in a certain place, but I never thought it was truly possible until today. Indeed I thought the idea of crying at a painting was darn right silly. However today sitting in the National Gallery in the heart of London I simply can’t help it. I cried partly because of the pure beauty in the work, such vibrant and stunning colours bursting forth from the canvas. Such detail on the ships, the way the vapors of paint swirl and twirl together make my heart ache. Partly because J.M.W Turner is one of my favourite artists in the entire world of art history and the fact I can see his work in the flesh at the National Gallery in London is astounding to me. But what really gets me is the fact a man over a hundred years ago bled and fought with a canvas to unleash the vision he saw in his mind. When J.M.W Turner was creating the piece he could probably find the weaknesses of the piece, find what he thought needed improving but he presented it to the world none the less. And over a hundred years later I sit staring at his work, longing to escape to the world Turner created with his brush. Longing to jump into the water and swim towards that crystal sunset. People of all nationalities and tongues sit in this national gallery yet they are all enthralled by this and other paintings. It doesn’t matter if we speak twenty different languages, the emotions and display of J.M.W Turner’s soul is clearly seen on this canvas and transcends language. 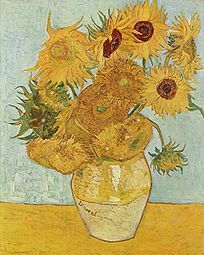 In another room, down another gilded hallway I stare at Van Gough’s Sunflowers and again I’m enthralled. It’s another painting that all people of all languages can enjoy. That’s why I adore art, that’s why I call myself an artist and why I want so desperately to complete my degree in art. Art inspires wonder, joy and yes even tears. Art reminds me of the beauty this world has to offer regardless of the strive we may see around us. Art is hope, hope for a better tomorrow and an artist can create that hope, seal it on a canvas and leave it in the world, waiting for some twenty year old art student like me to stare at its beauty in the National Gallery and shed a tear without even truly knowing why. As my weeks in London progress I feel a mixture of delight and frustration in this great city. There is so much going on in London and so many people all trying to make a good life for themselves. Yet sometimes, mainly when commuting on the bus, I feel a sense of people wanting something more. It’s an odd sensation, but there are moments of pure beauty in this city. When I travel back from my internship I have to cross the river and today the sun was setting just as the bus was cross. The sun was resting behind big ben and a beautiful glow was cast across the city. That moment made my day and as day turned into night I saw a glimpse of the moon for maybe a few minutes. Which was perfect since for my romantic poets class we had to write a poem about the moon! So for your entertainment (it’s not the best poem in the world ;p) here’s a little poem. Enjoy and let me know what you think. 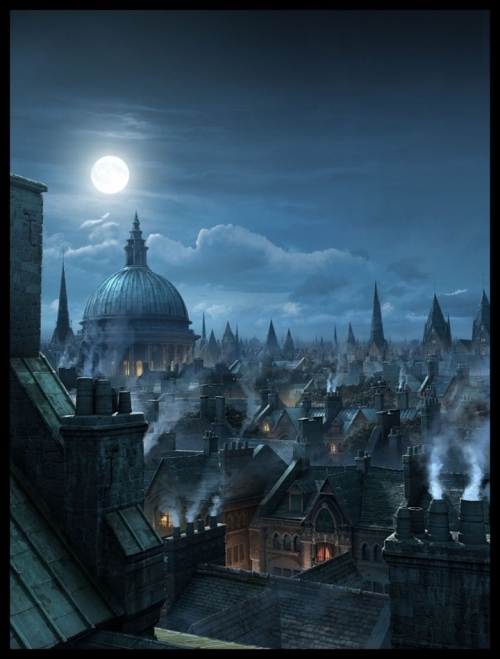 Yet you hid behind the Chimney’s wrapped within the city like a young maid turning from an over eager suitor. Hiding your glory in depravity. The shadows of the city engulf you, capturing you in their eternal vice.